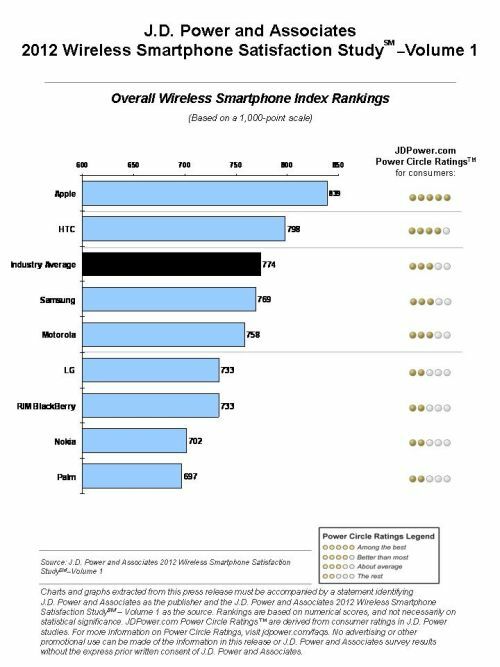 For the seventh time in a row, Apple has topped the J.D Power Smartphone Customer Satisfaction Study, beating HTC and Samsung into first place, as consumers increasingly warm to its ease of operation and features. Polling 7,080 smartphone owners, J.D Power’s rankings showed that Apple scored 839 points from a 1,000-point scale, with HTC obtaining a rating of 798 points and Samsung following with 769 (lower than the industry average). 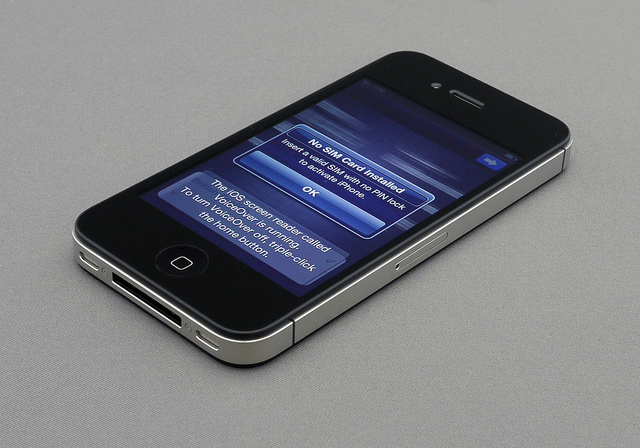 The study took into account both Apple’s iPhone 4 and iPhone 4S, as the study was conducted between July and December 2011. The study focused on aspects including design, ease of operation, features and performance, obtaining an overall score for each of the world’s top smartphone manufacturers. The uptake in 4G-enabled devices is one of the reasons for this, with owners of such devices rating their battery performance at 6.1 on a 10-point scale. However, 3G-enabled devices fared better, with an average rating of 6.7. As a result, manufacturers delivering devices with improved battery life are likely to see repeat custom, with 25% of respondents saying they “definitely will” purchase a device from the same vendor – compared with 13% of people that are less satisfied with their device. For smartphones, the key aspects on smartphone were: performance (35%); ease of operation (24%); features (21%); and physical design (20%). Apps play their part in enhancing the smartphone experience, with nearly 70% of owners admitting they have accessed social networking services on their device. Of those surveyed, 72% said they could download apps and view media on their devices, while 59% said they were able to utilise voice recognition services. Given that Apple operates the world’s most successful apps marketplace and delivering the cutting edge in voice-recognition software, it’s easy to see why it tops the charts.